1. Scroll down and find the next available Date of the course you wish to attend. 2. CLICK on the corresponding Course Link to Register for that particular session. 3. Follow the instructions on the Course Registration Screens. 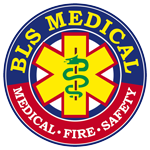 If you have a date that is suitable for you, please Contact Us on mail@blsmedical.co.za or phone us on 087 236 6601 and we will see how we can accommodate you.